I’m not sure how much time you spend thinking about your laundry room. Let’s be real, it’s not the most romantic room in the house, but the truth is we ALL spend a substantial amount of time in this space! Getting this not so fun but oh so necessary room in efficient working order is a great way to add joy to the time you dedicate here. I have a few laundry room organization ideas you can steal and they are great for a budget! I want to thank Bona for sponsoring this post and sharing their amazing products with me, there are also affiliate links in this post. I’m also gonna share some cleaning tips from some good friends of mine, I am just loaded with stuff for y’all today! 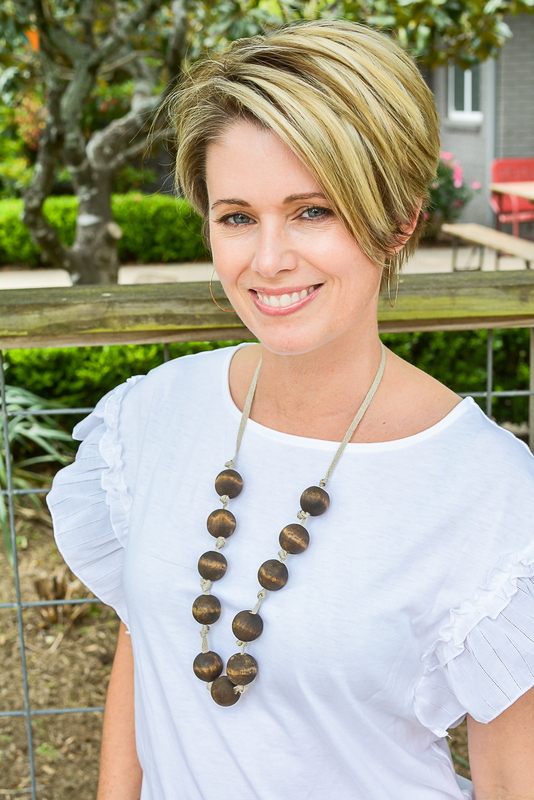 As a mom of three children and four fur babies I am constantly cleaning or washing something. This year I made a goal to really get the laundry room beautiful and find the best products to do the jobs on my bulging to do list because it makes those not so glorious chores more enjoyable. 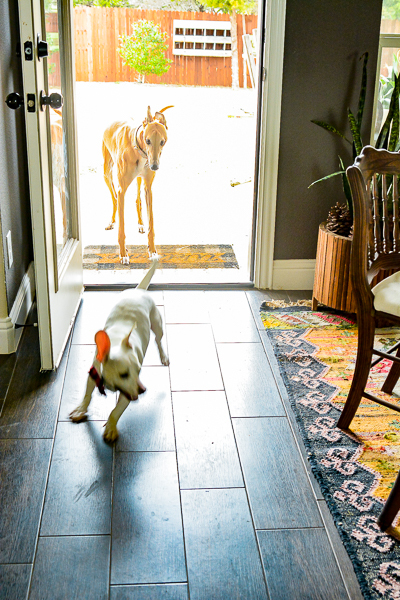 For example, the view I see most often during the day are precious little faces peering in through a snot slobbered window on the back door, begging to drag their muddy feet through my kitchen, leaving behind a trail of paw prints that I love and hate all at the same time. 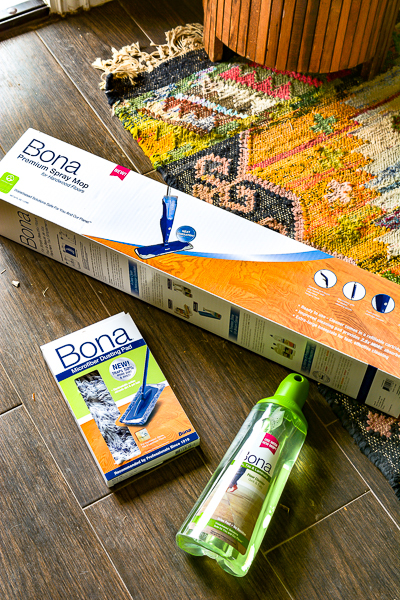 I’ve tried a ton of things to keep this high traffic area of our home clean from DIY solutions to a variety of tile floor cleaners and nothing has been as beautiful and easy as this new Bona spray mop used in combo with their Stone, Tile and Laminate cleaner. 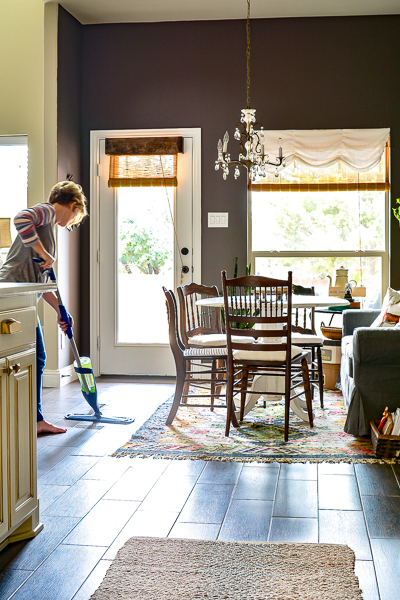 The Bona mop clicks together easily and comes with a full size bottle of cleaning solution, you simply squirt and wipe with the large mop head. 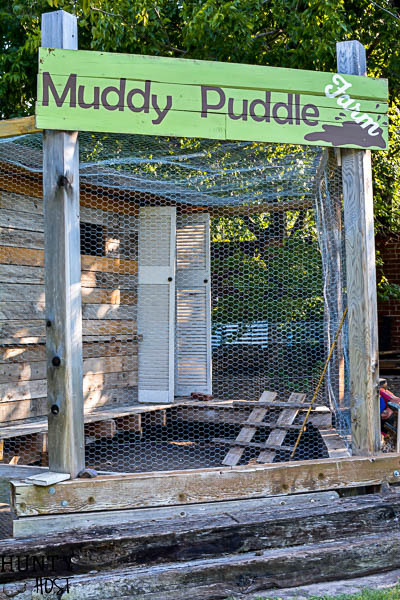 You can even order it online and have it shipped to your door (my favorite time saver). 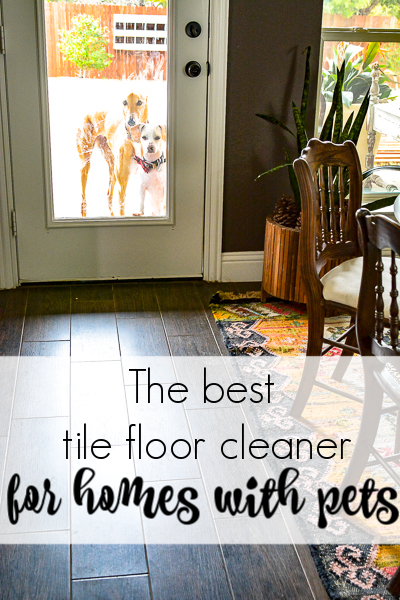 It seriously wiped out muddy paw prints and dirt so quickly with no funky residue or streaking on the tile. The cleaning formula is also GREENGAURD GOLD, which means it is certified safe to use in my house with my kiddos and pets, amen! What I have decided to do is keep my new Bona mop where I can grab it in an instant to clean those annoying spots that happen daily, the laundry room is the perfect spot Since you can just toss the re-usable mop pad in the laundry I leave the pad on and throw it in with a load of laundry every once and a while and then load it back on the mop so it’s always ready. 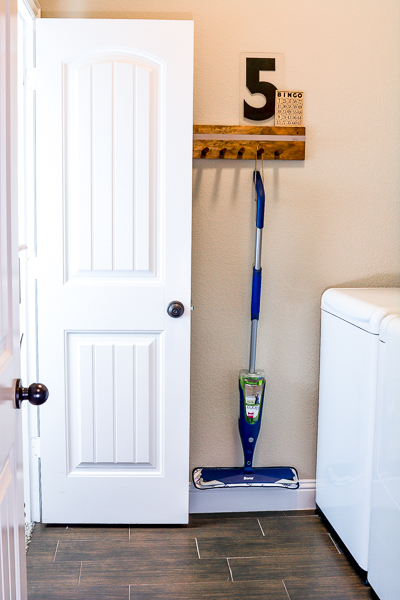 Here is my DIY solution to organizing this mop and the ironing board that had no home! 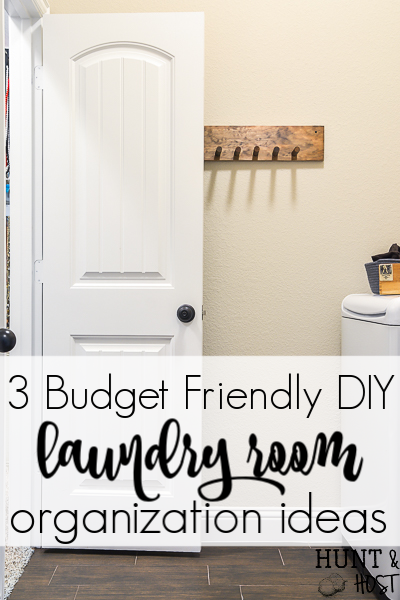 I actually added three simple, budget friendly things to my laundry room and these ideas made all the difference. 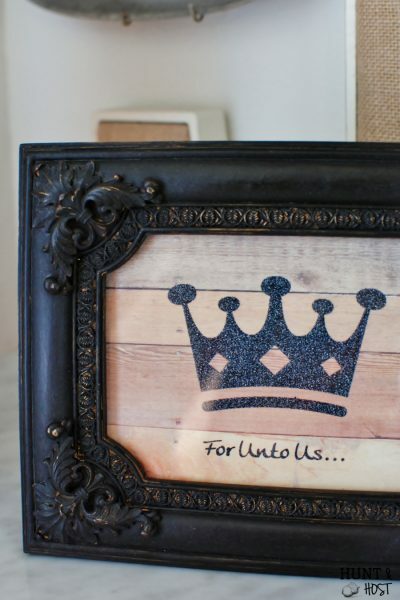 You can DIY one or all of them to add function and style to your space. 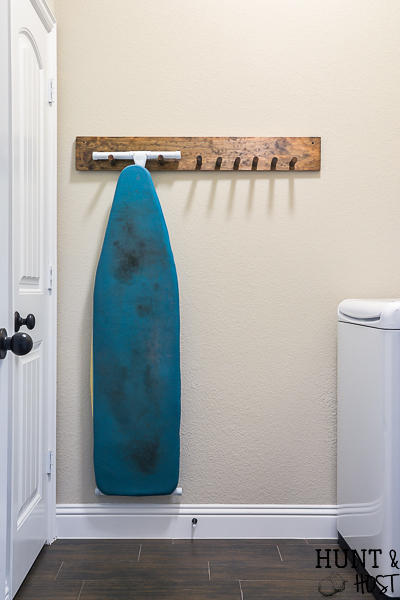 The first project I tackled was adding an area to hang my ironing board and mop. The ironing board was propped up behind the door to our closet and would often get bumped, come crashing down and scare me to death. Now, I have to be honest…I rarely use the ironing board, but it is one of those things you need to have and keep handy. 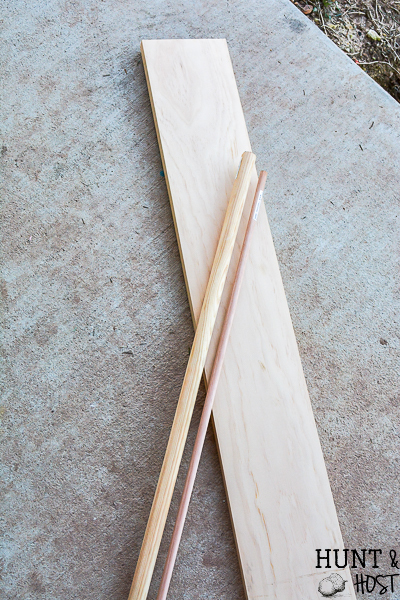 For a simple storage solution I grabbed a long 1 X 5″ board 3/4″ diameter dowel rod. Next I decided how many pegs I wanted in my peg board and cut the rod down with a chop saw into equal length pieces. Next I measured out the spacing for my dowel pegs. I did not make the spaces even because I wanted a larger gap to hang the ironing board and other pegs closer to hold miscellaneous household items like my new Bona mop. I marked the spacing with a pencil. Using a drill with a paddle bit attached I drilled holes in the spots I marked to accept a peg. 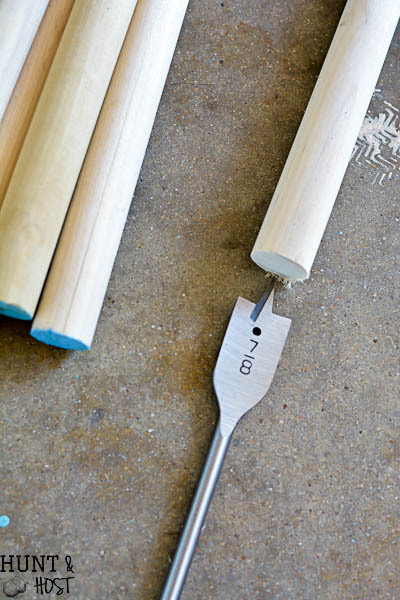 TIP: draw a line with pencil on your paddle bit to mark the depth you want to drill your hole. This will help you make them even, that is unless you decide to drill all the way through the board. I lightly sanded the edges of the board and freshly drilled holes. Then I stained the entire board and pegs with Espresso from Minwax. For and added touch I used painters tape to mask off a chunky line and painted it with grey chalk paint to match some other elements I am adding to the laundry room. 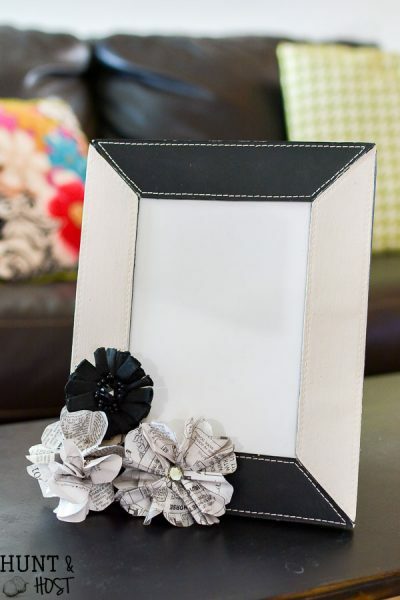 This project is perfect for you you to make because it will fit YOUR room – no matter how small or large, even if it’s just a closet! 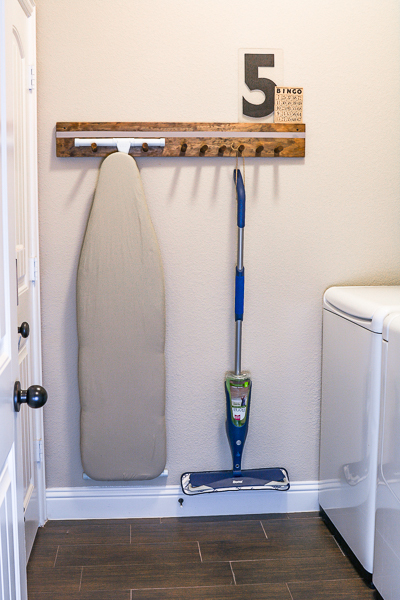 You can add just about any laundry room essential to this organization board by adding a little jute twine to make a hanging loop, like I did with my mop. You can check out my next DIY laundry organizing idea here!!! 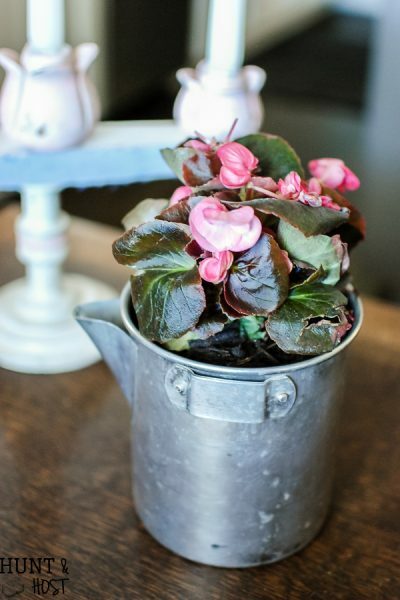 Visit here to see some vintage storage solutions I added to the laundry room. Have you tried Bona before? 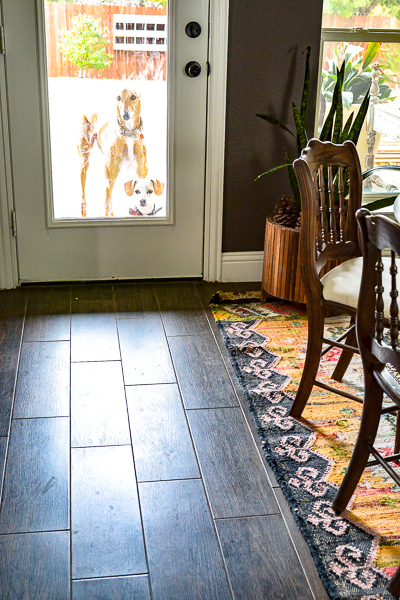 Does your laundry room make you happy when you walk in? Let me know! Now here are the tips from my good friends that I promised, please be sure to pop on over and say hi to them! See how my friends are cleaning their homes and getting organized in 2019. I like the way you are storing that mop! Genius! With kids and dogs,I like to have mine at hand too. I may have to make myself a place to hang mine too! i need it handy so I will actually use it lol!!! 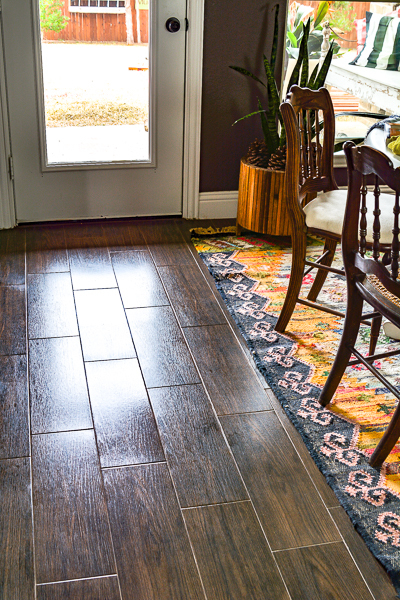 I have just had beautiful Bruce wood flooring installed in my house. Bona wood cleaners are wonderful also. 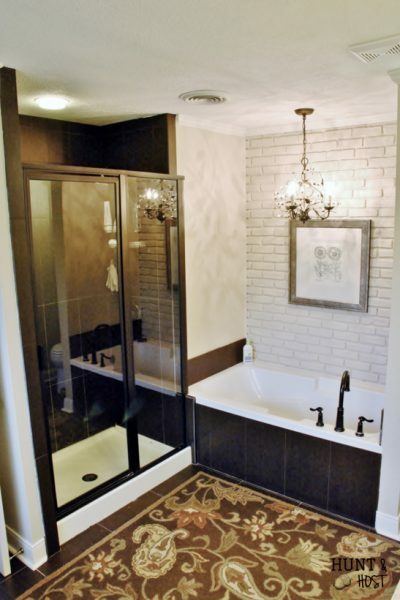 I will have to try their tile cleaner mop when my bathroom renovation is complete.